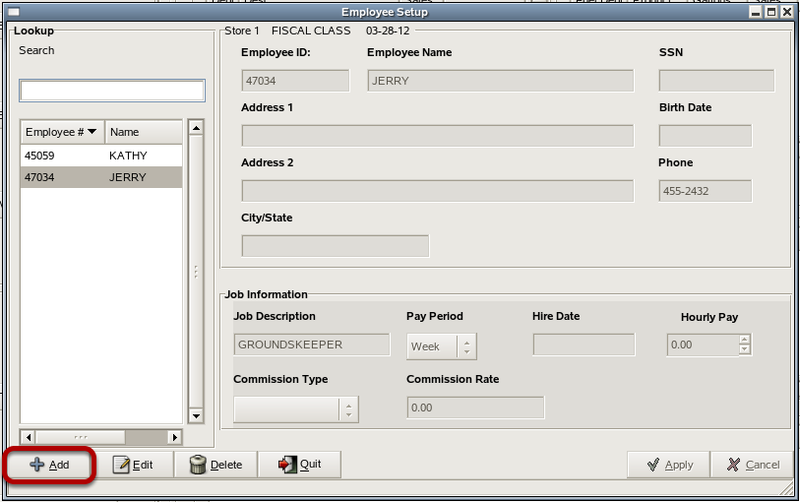 TravStar1 Point Of Sale SystemManager's Work Station Getting StartedHow Do I Setup an Employee? How Do I Setup an Employee? This lesson will teach you how to add an Employee to the Manager's Workstation so that they can Clock In and Out at the register. 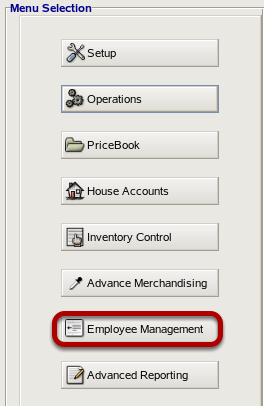 From the Main Menu, click on the "Employee Management" button. 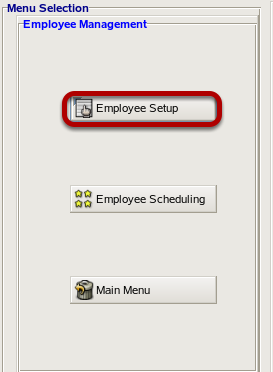 From employee management, click on the "Employee Setup" button. To add an employee, click on the "Add" button. 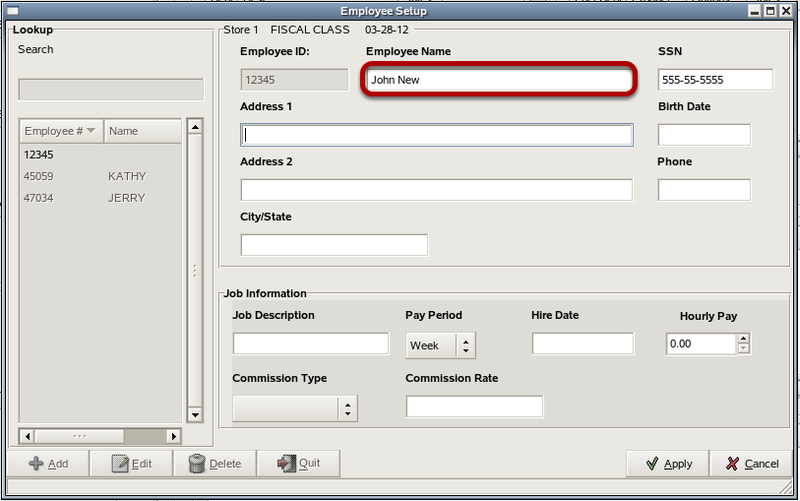 1) Type in the new employee number in the Enter Employee Code field. 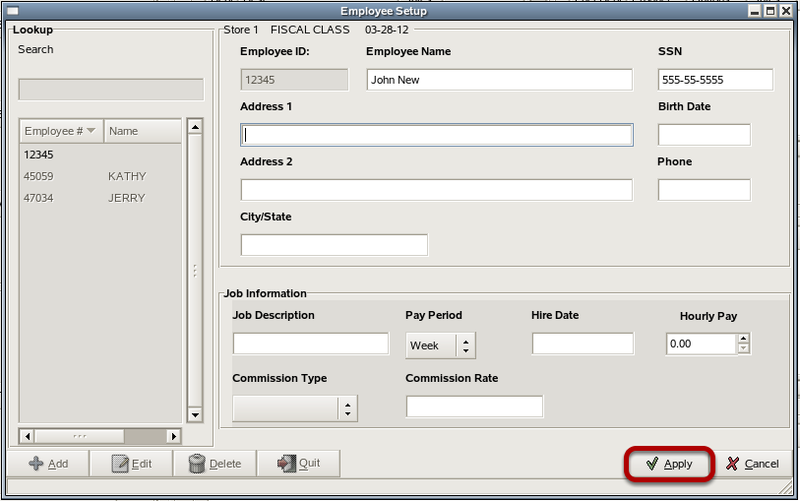 Click in the Employee Name field and type in the employees name. Do the same for any of the other informational fields that you wish to populate. The only fields that are required are the Employee ID and Employee Name. Prev: How Do I Edit an Existing Cashier? Next: How Do I Add a New Department?